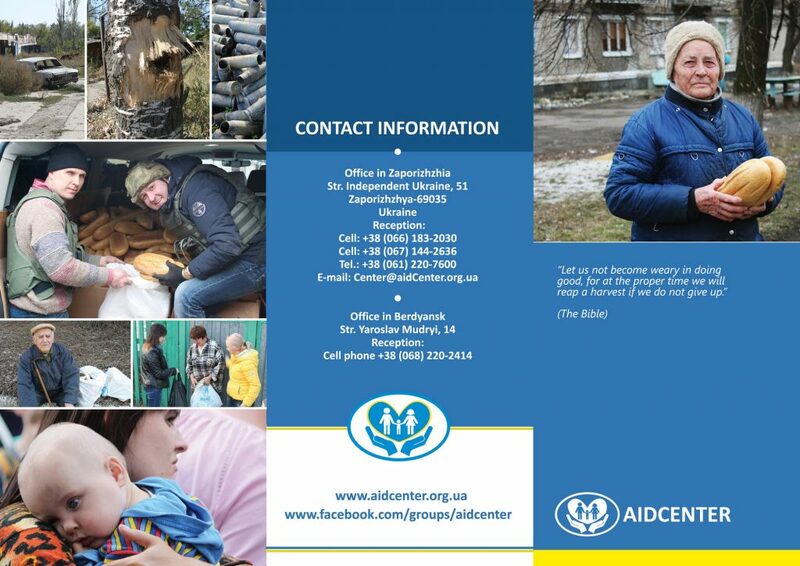 The City Aid Center is a non-profit organization founded in Zaporizhzhya in June 2014. Our Mission is to develop philanthropy and to encourage community participation in charitable work basing on Christian moral-ethical values. Our main goal of our team is development and implementation of the national programs designated to secure social protection and support of the most disadvantaged and vulnerable groups of the society in Ukraine, regardless of their nationality or religious beliefs. 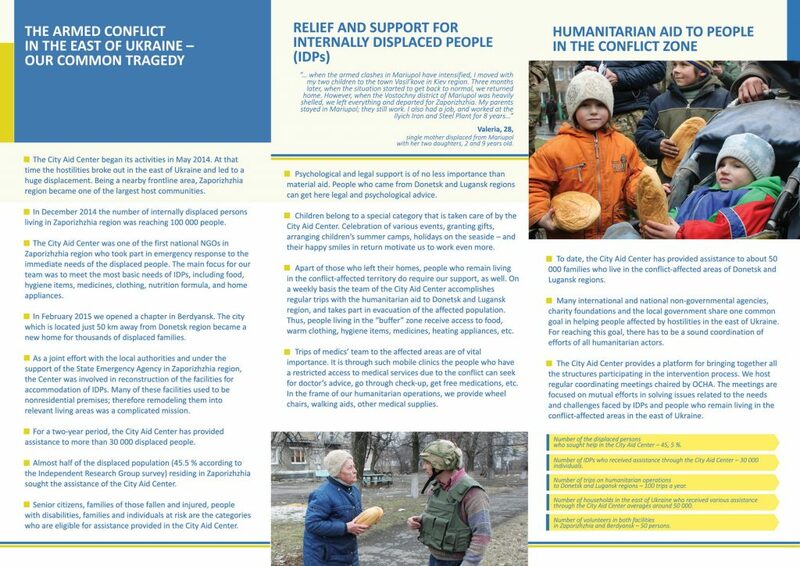 The City Aid Center is one of the first organizations in Zaporizhzhya who starting from June 2014 has been providing on the ongoing basis the aid and support to the internally displaced persons from Donets’ka and Luhansk’a oblasts, as well as targeted assistance to vulnerable populations who are staying in these territories. Our aim is a selfless assistance to all people in need. Our objective is to do our utmost to fulfill our aim.